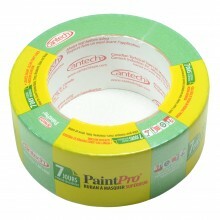 The tapes we offer are for masking off in a variety of situations. 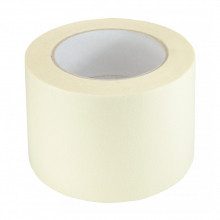 Our range also includes a waterproof "Gaffa" tape, a double sided adhesive tape and a gummed paper tape which is very popular with watercolour artists. 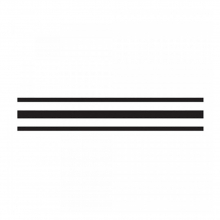 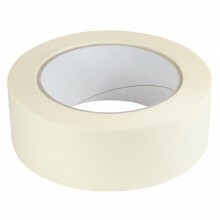 The Handover paper masking tape comes in both standard and professional qualities. 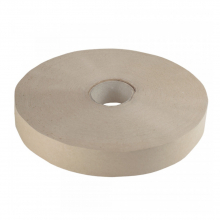 The standard can be bought either individually packed to keep it clean and pristine until ready to use, or simply loose to save on cost. 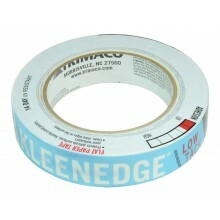 For those that like a branded masking tape, Kleenedge and Cantech's Paintpro tapes are also available. 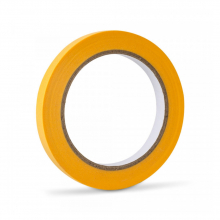 For fine line work there is a choice of the top quality Finesse "Edge" tape, a Tessa and a blue 3M blue tape and our own brand yellow fine line tape. 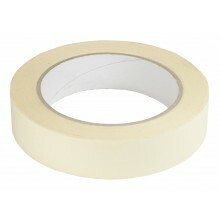 Available in 3.75 in x 75 ft & 2 in x 180 ft. 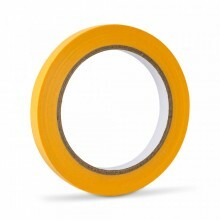 Available in 24mm x 55m, 36mm x 55m & 48mm x 55m.